Khyra Ishaq, age 7, was starved to death by her mother, Angela Gordon, and stepfather Junaid Abuhamza. Khyra and her five siblings were homeschooled. The children were subjected to regular beatings with a cane and punished by being forced to stand outside in the cold. The kitchen was kept locked and the children were starved and forced to vomit. 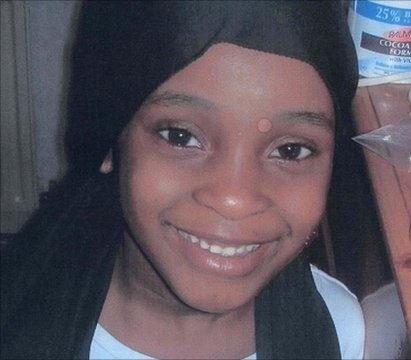 Khyra was withdrawn from school in December 2007 and imprisoned in her bedroom. When she died in May 2008, two of her sisters were also hospitalized for starvation. She weighed only 37 pounds at the time of her death. Gordon and Abuhamza pleaded guilty to manslaughter. Gordon was sentenced to 15 years in prison and Abuhamza was sentenced to life.